Besides many possibilities for networking, exhibitors and visitors will once again be offered a comprehensive, highly topical and innovative seminar program from February 18 to 21. One of the highlights: Jeremy Abbet, Creative Evangelist at Google, will give a lecture on the store of the future. Four days packed with informative lectures, exciting panel discussions and exceptional encounters are waiting for the visitors and exhibitors of INHORGENTA MUNICH. At the same time, the trade show's 2017 edition is entirely characterized by digitalization. “Digital distribution channels are sustainably changing the consumer behavior and thus also the jewelry and watchmaking industry. It is especially retailers whom we would like to equip with suitable approaches and new strategies for coping with these challenges. For we do not only understand ourselves as sparring partners but also as trendsetters”, says Klaus Dittrich, Chairman and CEO of Messe München. Consequently, Jeremy Abbet, Creative Evangelist at Google will give a lecture on February 20, 2017 at 17:30 on the topic: “The store of the future—concepts and ideas”. In another lecture, Maximilian Hemmerle, CEO of the Renésim jewelry company, will show how e-commerce and store-based specialist trade harmonize with each other. Dr. Jens Rothenstein from the IFH Institute for Retail Research invites the audience to attend his lecture entitled “The online shopper of today and tomorrow”. And Jörn Weiss, CEO of the Internet agency Weiss & Urban, will give a lecture with the demanding title: “Think Digital!—Brand Management in the Social, Search & Storytelling Age”. A new addition to the program will be the Gemstone Forum. 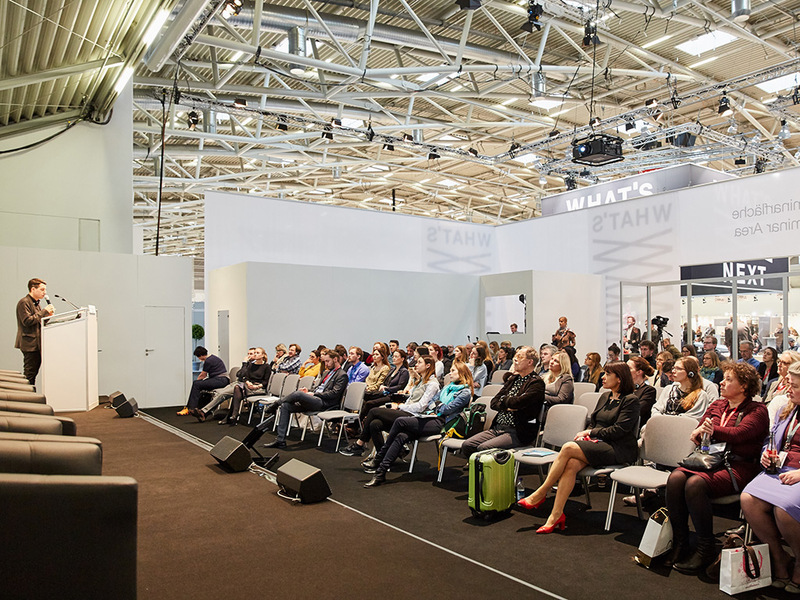 Here, the internationally renowned gemstone experts Joanna Hardy, Yianni Melas, Dr. Claudio Millisenda and Richard Drucker will share valuable knowledge with the visitors of the trade show in Munich. The second INHORGENTA Career Day will take place on Tuesday, February 21, 2017 in the seminar area of Hall C2. Young talents will gain valuable insights into the watchmaker, goldsmith and designer trades. At the end of the Career Day, there will be a speed dating event where young professionals and companies can exchange information and ideas with each other. Of course, the experts will also be available for all questions revolving around a successful entry into professional life. Photos for free download are available here, videos can be found under: www.inhorgenta.com/services and at the Messe München Media Center.